Flash iOS Apps Cookbook | Yeah, But Is It Flash? 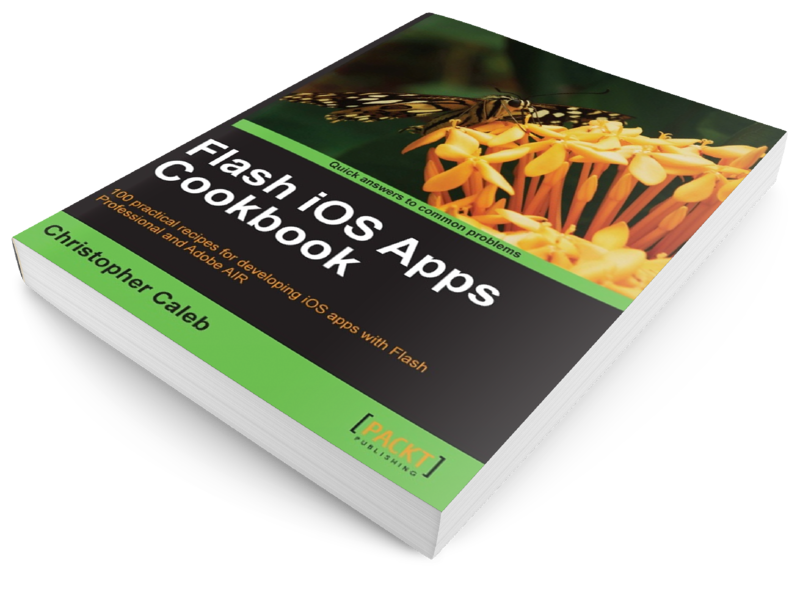 Published by Packt Publishing, Flash iOS Apps Cookbook is available in paperback and various eBook formats including Kindle. Written for both beginners and seasoned developers with a working knowledge of ActionScript 3.0 and Flash Professional, my book provides the recipes required to build native iOS apps using the Flash platform. Whether you want to create something new or simply convert an existing Flash desktop project, the relevant steps and techniques are covered. 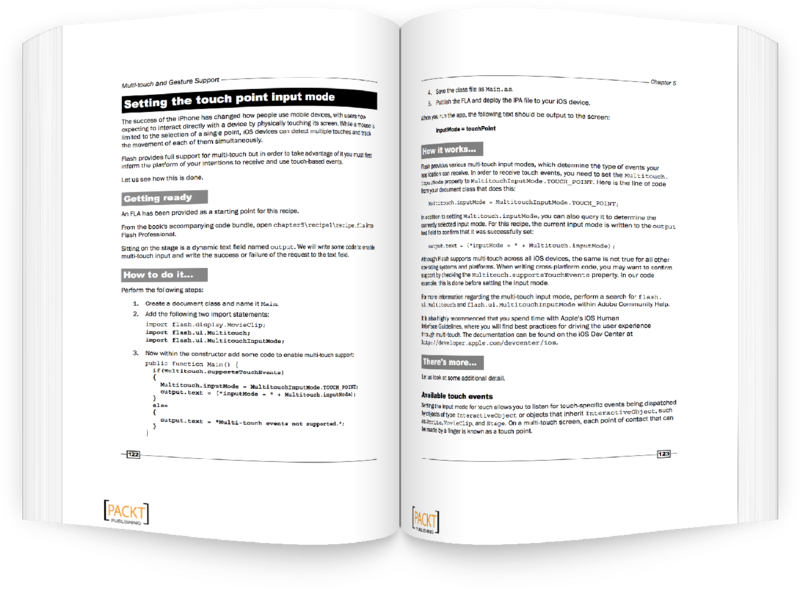 For those new to iOS development, the book pays particular attention to the fundamentals, focusing on the groundwork that many newcomers find daunting. The first few chapters show you how to join the iOS Developer Program, create the required developer files, and build your very first application using Flash Professional and the Adobe AIR SDK. For those with a firm grasp of the basics, there’s plenty to learn, from working with device sensors, to maximising graphics performance using hardware acceleration.